He has just stepped into showbiz and Jacky Wu's son is already making headlines in Taiwan. But not for the right reasons. Nineteen-year-old Rick Wu, who goes by the stage name LucyPIE, has been questioned by the police this week for posting a bomb threat on his private Instagram account. 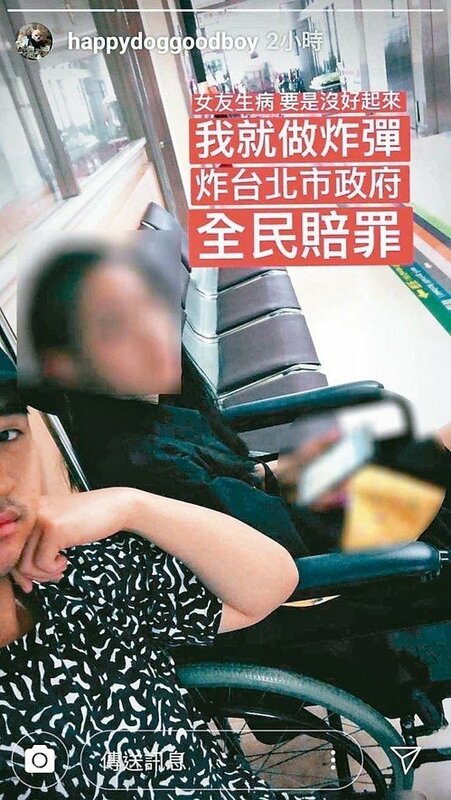 In a recent Instagram story, he wrote: "If my girlfriend doesn't recover from her illness, I will make a bomb and blow up the Taipei city hall. I'll make everyone pay." It was an inside joke between him and his friends from military camp, he explained. Netizens, however, do not find the joke funny. Instagram stories are automatically deleted 24 hours after they are posted, so it is unknown how many people have seen Wu's post, Taipei Times reported. The teen made a public apology on Facebook on Sunday (Aug 19), saying that he didn't realise that someone would take a screenshot of the meme and leak it online. On Monday (Aug 20), barely a month after he dropped his debut album Ambulance, Ricky announced that he would be leaving the entertainment industry. In a press conference held on the same day, Jacky chided his son for his foolish behaviour and said: "He's old enough to take responsibility for his own actions."